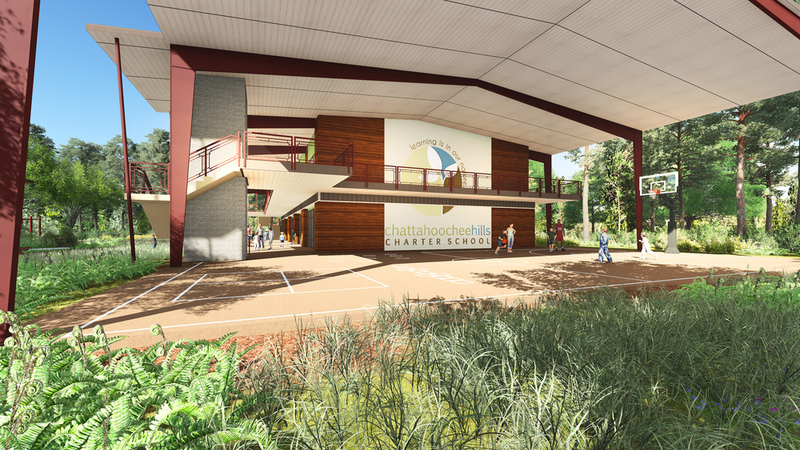 Working with Chattahoochee Hills Charter School board and the principal to redevelop the overall site Master Plan, we designed 24,000 square foot classroom building for Phase II of the campus. Within the constraints of funding that is available for Charter Schools, we have developed a growing plan for the school's vision. The vision of the school builds on the idea that children thrive within a setting that engages them thru movement, exploration, experimentation and direct connection to the outside environment. 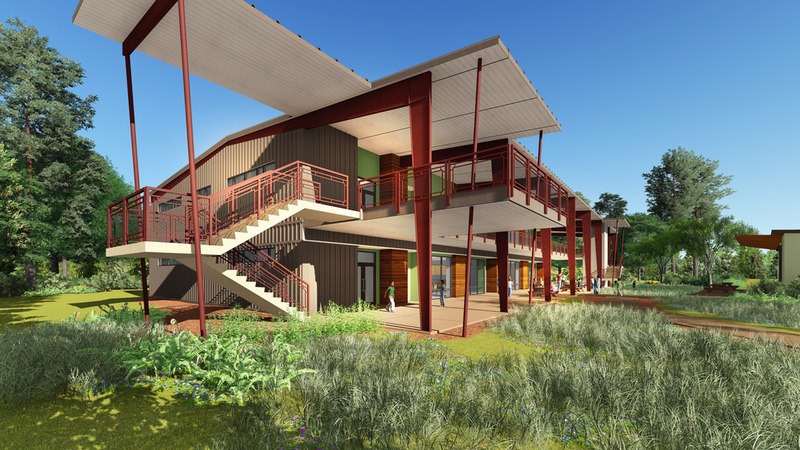 The new building will provide a 16 classroom expansion to the campus. 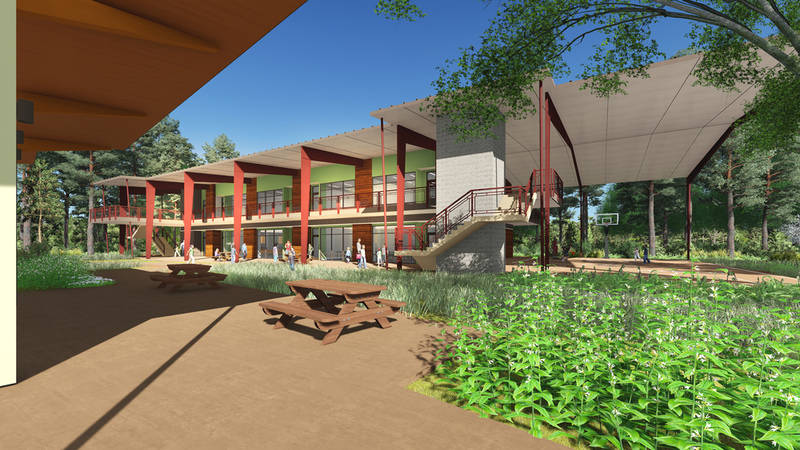 The building will maintain the close connection to the outdoors that is an integral aspect of the school’s curriculum. The building will have two floors of classrooms, offices and restrooms. 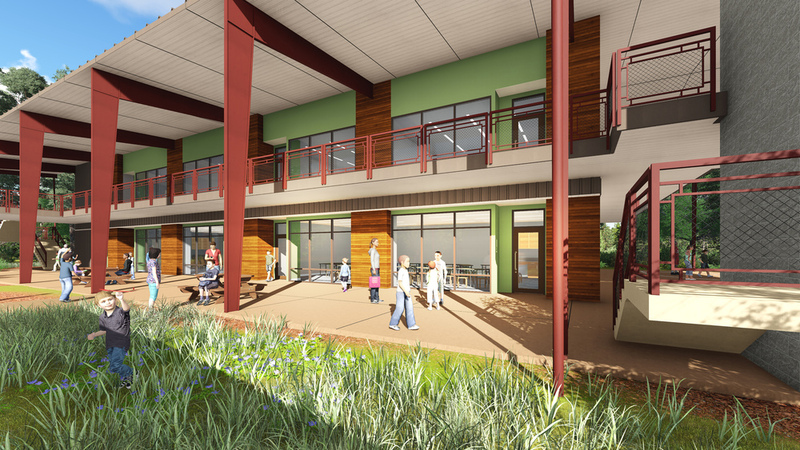 The classrooms will have operable walls which will allow the flexibility to be connected and accommodate multiple functions. 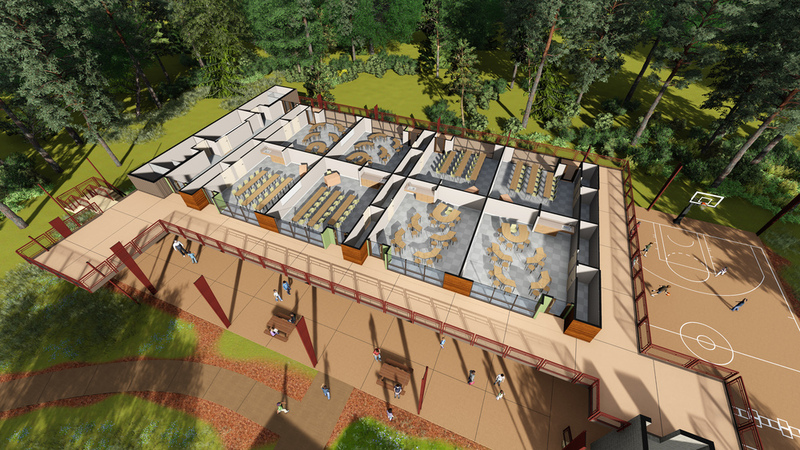 The open corridors on the first and second level will have open areas that will be used as outdoor classroom areas. 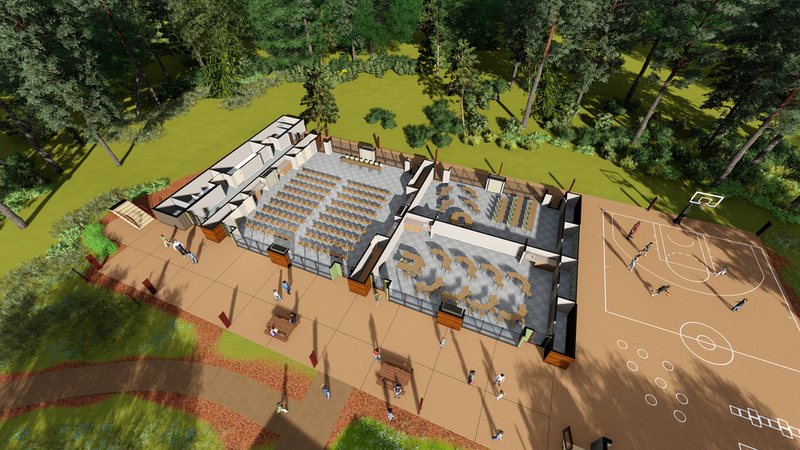 A portion of the building will initially be used as a covered activities area that will accommodate play as well as performance space. This area will be enclosed for additional classrooms and offices in the future when the Phase III Arts Center is added to the campus. This building will have 14,000 sf of heated space and 10,000 sf of usable outdoor covered space. More on the successes at the school can be seen here.